The 2019 Ford EcoSport is a tiny delight that will make a big impression on the life of any driver. As a compact SUV, the 2019 EcoSport is flexible, fierce, and fun to drive. This is a model that is designed to fulfill a very specific need in people’s lives, and that need is everyday natural convenience. Those in populated urban areas will admire the sporty style and smooth handling, while those outside of the city can appreciate the surprisingly roomy cabin. This model can easily seat five passengers while still having plenty of cargo space for all your belongings. In addition to space, the 2019 EcoSport also provides drivers with a fun and unique design that is sure to catch the eyes of fascinated onlookers. If all that exterior and interior appeal isn’t enough though, the affordable value, alluring features available, and respectable performance output should be enough to tilt the scales. Overall the 2019 Ford EcoSport is the small boost your life needs to go from acceptable to incredible, and you won't find anything else quite like it on today's market. While power isn’t at the top of the list of things the 2019 Ford EcoSport excels at, it still knows how to handle itself while on the road. The base 2019 Ford EcoSport comes with a 1.0L turbo 3-cylinder engine that delivers 123 hp and 125 lb-ft of torque paired with a 6-speed automatic transmission that will certainly get the job done for the daily commuter. There is also a 2.0L 4-cylinder engine that pushes out 166 hp and 149 lb-ft of torque. The 2019 Ford EcoSport comes in either a front-wheel-drive model that can tow 1,400 pounds or an all-wheel-drive model that can tow 2,000 pounds. Additionally, due to its small stature, this ride has very little trouble navigating crowded streets and will make parking strain a thing of the past. Overall the 2019 Ford EcoSport may not be a beastly ride, but it gets the job done. The 2019 Ford EcoSport offers four trims levels that allow you the freedom to meet your personal needs and price point. The base trim is the 2019 Ford EcoSport S is the base model that starts at $19,995 that comes with a fair list of standards that should help you get through the day. The next level up is the 2019 Ford EcoSport SE that starts at $23,150 and introduces a three new packages including the SE convenience package, the interior protection package, and equipment group 200A as well as a few upgraded technology features. 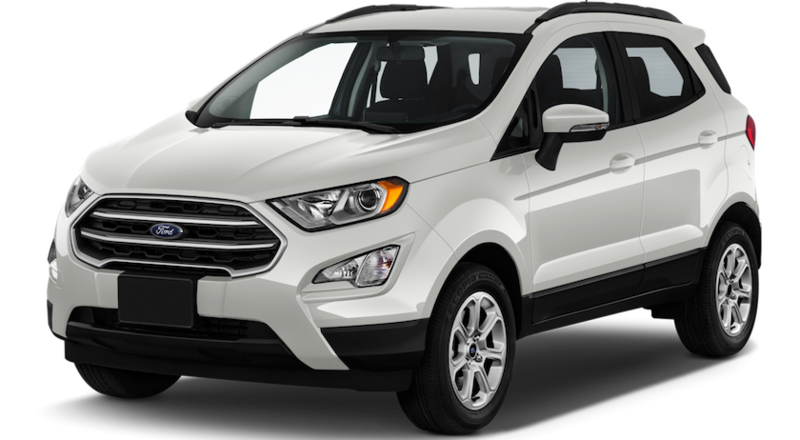 If you as a driver require more, there is the 2019 Ford EcoSport SES that starts at $27,275 and only comes with the 2.0L 4-cylinder engine and AWD. The SES trim also offers an SES exclusive appearance package. Lastly, there is the 2019 Ford EcoSport Titanium that starts at $26,160 and offers every luxury the EcoSport can offer. While the S trim level is the best value overall when you consider the features you are getting for the price, the suggested level for those that enjoy their tech would be the SE model that introduces the SYNC 3 infotainment system as a standard. The SE also introduces heated front seating that will be sure to win over more than a few hearts when winter comes to town. It is also recommended to spend the extra money to invest in the 4-cylinder AWD model considering the power out of the standard engine and drive mode can seem lackluster for most drivers. When one pictures the perfect partner for the Ford EcoSport what they imagine should seem something like this. A young and eager driver who has just moved into the city after finding a new job. Having to pay off their college debt and keep up with pricy city expenses, this driver is either forced to rely on the unhygienic and unreliable urban public transportation system or invest in a vehicle that works for the chaotic city environment as well as their limited budget. The ideal audience for the 2019 Ford EcoSport is generally those that live in crowded urban areas where space and handling are the main issues. While you can find smaller vehicles, the 2019 Ford EcoSport is one that knows how to use every inch of its space efficiency in order to get the most utility value possible, kind of like a typical city apartment. Due to its small size, it also has seamless handling that makes maneuvering even the worst roads as simple as moving your own fingers. This is also a great vehicle for those on a budget considering it starts at less than $20,000 brand new. Shockingly efficient, easy to handle, and affordable, this vehicle was for the thrilling city streets and the residents who love them. Adjusting to urban culture can be tough, but the 2018 Ford EcoSport will always be there to help make it a seamless transition. The 2019 Ford EcoSport is a modern vehicle that offers drivers an immersive experience through the use of Ford’s SYNC 3 infotainment touchscreen system that comes standard with any trim level SE and above. This system is beyond easy to use and uses Bluetooth technology as well as Apple CarPlay and Android Auto to link the EcoSport directly to your smartphone. Once linked you can use the SYNC 3 system to do such things as play your favorite playlist when the radio is stuck on repeat, to pull up maps when you lose your way, or even make and receive hands-free texts and call without any hassle or risk to your safety. Finally, you will be able to enjoy the ride your own way, and always stay connected to the outside world even while on the road. Technology is the future, and the 2019 Ford EcoSport is one vehicle that refuses to be left behind. Ford is known for their ability to provide everyday drivers with affordable vehicles options that are tough and resilient. Even drivers who only use their vehicle to commute to work and run simple errands should have the right to own a vehicle that was built to last, and so Ford has a vast lineup of vehicles big and small that are suited for every type of driver. When it comes to providing the best in strength, Fords always deliver. t Kings Ford, we ensure that every driver is treated like royalty. At our dealership, you are the one that calls all the shots. What you want, we'll make it happen in the quickest and most efficient way possible. It is easy to tell a driver what they want, but as salespeople what we do is listen. Each driver will get the individual attention they desire in the way they desire it. Whether you are a first time driver who has more questions than answers, or an experienced veteran of the automotive community who just wants to be in and out as quickly as possible, we are here for you. 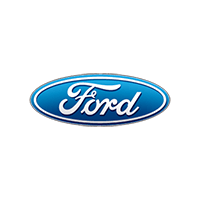 Another benefit of Kings Ford is our vast inventory of reliably tough Ford vehicles that will guarantee satisfaction. 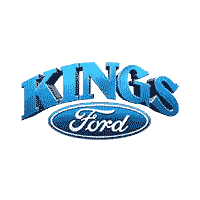 So the next time you are in the market for a vehicle you can trust, give Kings Ford a chance to show you the royal treatment. You won’t be disappointed!